Special thanks to All Community Events for hooking me up with a free entry into the 2016 Country Sole Half Marathon. Cool looking race hoodie… check. Gold Belt Buckle Medal… check. 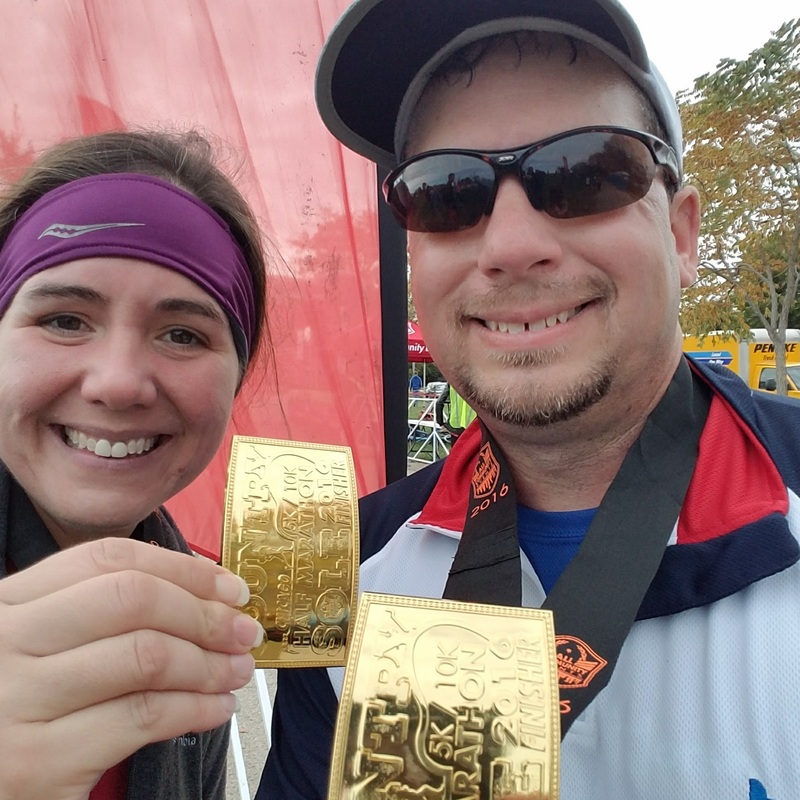 For a medium sized local race, the Country Sole Half Marathon sure offers a lot of great perks. It also supports Back on My Feet Chicago, which is an organization that uses running to create self-sufficiency in the lives of those experiencing homelessness. It’s a great program with high success rates that I’ve been following for a couple years so I was happy to provide some support. As for the race itself, this fun country music themed event starts and ends in Montrose Harbor on Chicago’s North Side. Runners can choose between 5K, a 10K and half marathon distances. The courses offer nice views of Lake Michigan and the parks that surround the harbor. All three races start together. The course heads east towards Lake Michigan for about a half mile and then doubles back towards the city. There are about 2000 runners across the three events, so the crowds are pretty big in the beginning. Things clear up just after mile 1 when the 5K runners turn and head towards the finish line. The 10K and half marathon runners keep heading north at this point and get treated to nice views of the lake on one side and fall foliage on the other. Over the next few miles, the course loops through the lakefront parks and heads back towards the start/finish area. The course splits again just before mile 6. 10K runners head east towards the finish line. Half Marathon runners head west to do a second loop. The course opens up quite a bit after the second split. Local residents are also out and about by this time as well. During the second loop, runners can watch dog owners playing catch with their canine friends on the beach and lively soccer games in the parks. The entire course is flat and fast. After crossing the finish line, runners receive a large gold belt buckle medal (to keep with the country music theme of the race). At the post race party, volunteers serve breakfast plates consisting of scrambled eggs, biscuits and gravy. There’s also a beer tent, a stage with country music bands and a nice big grassy area to stretch out and enjoy the food, drinks and music. Chicago weather can be a bit unpredictable in the end of October. This year it was a little chilly at the start of the race but once I started moving, I felt fine in a long sleeve running shirt and a pair of shorts. Typically the running season starts to wind down around this time of year. Temperatures begin to drop and many runners hang up their shoes for the season or head inside and hop on the treadmill. If you live in Chicago and you’re looking for one last fun race to do before the season ends, definitely give the Country Sole a look.